Some wars are absolutely necessary, though, and this is one of them. The struggle to kick the Jews out of the Middle East has been led by various entities with the help and connivance of others since the beginning of the 20th century. In the 1930’s it was the Mufti and his followers. Later Egypt and Syria (primarily) picked up the standard, both by making war directly on the Jewish state and by supporting various Palestinian terrorist factions, notably the PLO. Today it’s Iran. Iran, which until very recently was flush with oil money, may be more dangerous than Nasser’s Egypt was. It will certainly become so the day it becomes a nuclear power. Today’s Iranian strategy is to weaken Israel through asymmetric low-level conflicts with non-state proxies such as Hamas and Hezbollah, and ultimately to destroy Israel in a regional war in which the primary weapon will be short and long-range missiles fired from Syria, lebanon, and even Gaza. But Israel is far too strong to be defeated in such a war today. Her enemies understand that quite well despite the bombastic propaganda they broadcast. They prefer to continue applying military and diplomatic pressure to weaken Israel and strengthen its antagonists Hamas and Hezbollah, as well as to press the campaign to delegitimize Israel throughout the world and reduce her support — especially in the US. The plan includes psychological warfare against Israel, to cause Jews to emigrate, to weaken their commitment to military service and to make them lose confidence in the very proposition that Israel can maintain herself in the Mideast. The Hamas rocket attacks, although they have killed ‘only’ about 16 Israelis since 2001, have had a great deal of effect. The fundamental purpose of a state is to protect its citizens, and it appeared that Israel was incapable of doing that. What has happened this week is that Hamas — or whoever is calling the shots — miscalculated. Perhaps they believed their own propaganda that Israel was politically incapable of fighting, that the army was not better prepared than in 2006, that Israel was not psychologically capable of accepting the casualties that an all-out war with Hamas would entail, that Gaza was no different than Lebanon, that world opinion could be mobilized to end any conflict to their advantage, that they had built up their military strength and fortifications enough to resist anything the IDF was likely to throw at them. As a result they expected that nothing would happen, or that Israel’s response would be ineffective. They chose a convenient pretext to resume rocket attacks, which had slowed during the ‘calm’ that had been in effect, firing over 100 rockets into Israel last week. But Israel already had contingency plans in place and they have been activated. The official goals of the operation are to end the rocket fire, destroy the stockpiles and stop the weapons smuggling that has enabled Hamas to build up its capabilities. Unofficial goals may include crippling Hamas by killing its leadership. Even more important, I think, is to restore the ability to deter aggression from the proxies, the gradual escalation of which has been chipping away at the self-respect of the Jewish people, the very heart of Zionism. This morning there was a news item that the IAF had destroyed 40 smuggling tunnels in 4 minutes. Like the punchline of the unpleasant lawyer joke (“What do you call 500 dead lawyers at the bottom of the ocean?”) this is only a good start. There are literally hundreds of such tunnels, and the only way to eliminate them will be on the ground. I expect that also there will be special forces operations — they may already be underway — to capture or kill Hamas leaders or even to free Gilad Schalit. And of course many of the rocket launchers and their operators will have to be taken out on the ground. Israel has said that civilian casualties are light, but we can expect that Hamas and friends will be screaming ‘massacre’ as they did in 2003 when they invented the ‘Jenin Massacre’. There are already demonstrations all around the world and among Arab citizens of Israel in opposition to the attack. I am waiting for Peace Fresno to mobilize in opposition to the ‘holocaust’. It seems that this time Israel has done its diplomatic homework. Non-hostile governments so far have of course called for an end to the fighting, but also indicate understanding of Israel’s position. Hamas is also not everyone’s favorite social club; for example, the Mubarak regime’s most dangerous internal enemy is the Muslim Brotherhood which gave birth to Hamas. Many developed countries have had enough of Islamic terrorism. I’m convinced that the team of Ehud Barak and Gabi Ashkenazi can achieve their military objectives given the appropriate amount of time. As always, it will come down to a race between the progress of the IDF and media-fueled diplomatic pressure to back off before a conclusive victory is obtained. 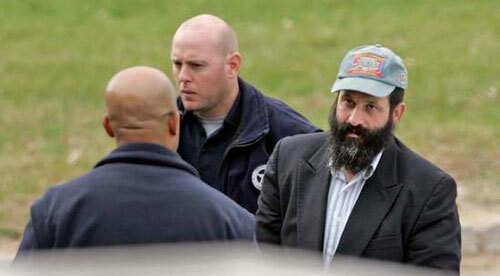 Sholom Rubashkin, CEO of kosher meat provider Agriprocessors was arrested on October 30 and charged with violations of immigration and child labor laws. In 2004, Agriprocessors was also the subject of a shocking undercover video made by People for the Ethical Treatment of Animals, in which animals were slaughtered in cruel (and according to many authorities, non-kosher) methods. And Bernie Madoff needs no introduction. …in sharp contrast to what is developing in the kosher meat industry, there has been no move afoot to establish something akin to “Hechsher Tzedek,” a rabbinic certificate of ethical excellence, for financial institutions. After all, how is it that when so many of the people going to jail on Wall Street turn out to be Jewish, the Modern Orthodox and Conservative movements have not immediately launched a campaign, as they are doing with kosher meat, to evaluate firms that invest Jewish money to ensure that they conform to the highest ethical norms in terms of treatment of employees and overcompensation of dead-beat executives? Boteach’s intent was to contrast the attitudes of liberal Jews (for Boteach, Modern Orthodox is liberal) toward a corrupt kosher butcher with those toward a corrupt financier, but I’m more interested in the similarities than the differences. There are anti-Semitic stereotypes about Jews. We all know what they are. One is that there are a disproportionate number of unethical Jews in business and finance. Is it true? Probably not, but it’s impossible to tell. There are plenty of non-Jewish corporate criminals to go around. Let’s not forget Enron’s Ken Lay and Jeff Skilling (although their Jewish CFO, Andy Fastow, went to jail too), WorldCom’s Bernie Ebbers, Tyco’s L. Dennis Kozlowski and Mark Swartz, or Adelphia’s John and Timothy Rigas. Unfortunately, Jews are noticeable (and if people don’t notice, the anti-Semites help them notice). One Madoff or Rubashkin cancels a thousand honest and decent people. I often hear that nothing that Jews do can possibly affect what antisemites say about them, and this is true. But what Jews do can affect what normal people think. Madoff and Rubashkin each violated numerous commandments — the Torah explicitly commands that employees must be treated justly, cruelty to animals is forbidden, and of course the injunction לא תגנב [You shall not steal] is found in the Ten Commandments. Madoff’s crime is especially heinous because so many charities suffered at his hands, but both of them blackened the name of the Jewish People. There is no central authority in Judaism, so it’s not possible to cut someone off from his people or put him to death by stoning, two biblical punishments that might be applied to [alleged, but I believe them to be guilty] criminals like these. To be fair, Rubashkin seems to have some supporters, although like Boteach they mostly talk about his treatment — especially a particularly stupid statement by prosecutors — and not his actions. It is disappointing that so few Orthodox authorities have disputed the technical kashrut of Agriprocessors’ meat (no, I’m not a rabbi, but I challenge anyone to watch the video and explain how what appears there is kosher slaughter). Although Rubashkin was arrested for other crimes, like Madoff, Agriprocessors defrauded Jews — those who thought they were buying kosher meat. Madoff doesn’t seem to have any supporters, possibly because he stole from everyone. His own sons contacted the FBI after Madoff admitted the fraud to them. Bradley Burston said that Madoff was a Christmas present to anti-Semites. I suppose the timing of Rubashkin’s arrest would make him a Halloween present. The so-called ‘truce’ or ‘calm’ between Israel and Hamas seems to be over, with tens of rockets daily flying into Israel from Gaza. Israel’s government has apparently decided to take some kind military action; allowing Hamas to bombard Israelis is not an option any longer. “An integrated approach, on the one hand, includes demonstration of military might, a demonstration of the heavy price Hamas would have to pay if the firing continues, and on the other hand, also using a carrot, to cause Hamas to understand that refraining from firing exactly serves their interests. He believes that Hamas would have – and still would – accept a bargain in which Hamas, the only power who holds sway over the multiplicity racketeers and gunmen of Gaza’s many armed groups, would halt the fire in exchange for easing of the many ways in which Israeli policies have kept a choke hold on the economy of the Strip. Hamas cannot defeat Israel militarily. Thus, fighting won’t improve Hamas’s strategic situation or bring victory. Israeli counterattacks will cause both injuries and material damage in the Gaza Strip, inflicting big costs on Hamas’s domain and subjects. Returning to warfare will ensure Hamas remains politically isolated and blocks international recognition or aid that would help its cause or end economic sanctions against the Gaza Strip. Going back to fighting makes certain that the Gaza Strip faces continued, even heightened, reductions in the material let in, thus ensuring more Palestinian suffering there. And Hamas is seemingly making three additional mistakes regarding timing. The first is that it is ending the cease-fire while George W. Bush is president. Certainly Israel feels freer to hit back at Hamas now than after Barack Obama is inaugurated simply because the new administration would want to avoid a crisis before it consolidates its plans and team. Also, the US is likely to prefer quiet as it begins withdrawing from Iraq. Second, the cease-fire is being suspended on the eve of a major Palestinian crisis as Palestinian Authority leader Mahmoud Abbas announces a self-extension of his term in office. One might think Hamas would prefer to keep the Israel front quiet for a while to focus on battling Fatah and the PA. Finally, there’s the Israeli election campaign. While this doesn’t make large-scale retaliation inevitable, such a move would make the current government more popular with the electorate. Therefore, Hamas’s behavior, an outside observer can easily conclude, seems stupid. But having built a mass movement, sizable army, seized the Gaza Strip and built broad support throughout the Arab and Muslim worlds, Hamas may be composed of genocide-oriented fanatics but not fools. What then explains this apparently silly behavior? Hamas really believes its own propaganda, expecting victory despite the odds. Costs and casualties are irrelevant. The battle will go on until total victory even if that takes decades. This indicates Hamas will not moderate – the same applies to Hizbullah, Syria and Iran. At the same time, Hamas is not only indifferent to its own people’s welfare, it [is] actually seeking to inflict suffering on them as a political strategy. The worse off Palestinians are, Hamas believes, the more likely they will fight and die. This “the worse things are, the better they are” is the exact opposite of Western perspectives. But Hamas goes even further. It knows suffering can be blamed on Israel. Western pragmatists reason that obviously the Palestinians must prefer peace, prosperity and statehood. Rejectionism must then be due to desperation and the lack of a good offer or faith in the West. In fact, though, the situation is not due to our mistakes but to their deliberate choices. Thus, Hamas can well conclude that the best way to put pressure on Israel and – in its own mind at least – gain Western help is to be more radical, not more moderate. Then, too, setting off a crisis, Hamas expects, will draw peacekeepers like hardworking ants, giving press conferences in which they will insist that “something must be done to defuse the crisis.” That “something” usually seems to be unilateral Israeli concessions. In short, the international community may rush in to save Hamas or the Palestinians in spite of themselves. At the same time, though, Hamas believes that its intransigence and aggressiveness will increase support in the Arab and Muslim worlds. As with Hizbullah, waging a war and portraying it as victory – even though the facts are otherwise – makes one a hero and attracts financing. This is also a judgment regarding Palestinian responses. More popular support can be garnered by producing martyrs than by producing higher living standards. Thus, Hamas will do better in its rivalry with the PA by fighting Israel than by fighting poverty. Hamas’ pragmatism is not the pragmatism of someone like Gen. Zakai, who naturally sees the welfare of one’s civilian population as a high-priority goal. But it is actually a pretty clear-headed understanding of what is required to defeat a liberal democracy like Israel and a corrupt secular nationalism like Fatah. The best strategy for Israel is not a large-scale ground invasion, and especially not one which ends in a reoccupation of Gaza. This would give the maximum advantage to Hamas, which cares little about military casualties and actually welcomes civilian ones. I vote for decapitation: kill the Hamas leaders and destroy as much military infrastructure as possible without causing mass civilian casualties.